Today is the last day to pay your property tax. Don’t deny it, the Department of Excise & Taxation sent tax challan forms to property owners a while ago! The department also stated quite clearly that those who didn’t pay by September 30 would be penalised. So, if you haven’t settled your accounts, you will have to pay a 1% surcharge on the gross tax payable, imposed on the 1st of every month. I extend my commiserations (well, not really!) to you. Serves you right for considering the tax challan nothing but a trash item. If you have paid the property tax like a good citizen, good job. Just do the same next year. The remaining part of the post is for tax defaulters and for those who could not pay their taxes on time for genuine reasons. Tax calculation comes with a certain amount of apprehension, but this time the taxation department made most of the information available on its website. We should really appreciate this move. The formula is simple: Annual rental value of property x 5% = Property tax for the year. Who should pay property tax? Every property owner is bound to pay tax. There is only one exception: If you own a residential property spanning 5 marla or less, you are exempt from property tax (this exemption applies to all categories except category A). However, if you rent out this property, you will need to pay. Sounds complicated? Please don’t freak out just yet and read on to understand property categorisation. It’s really not that difficult to understand. 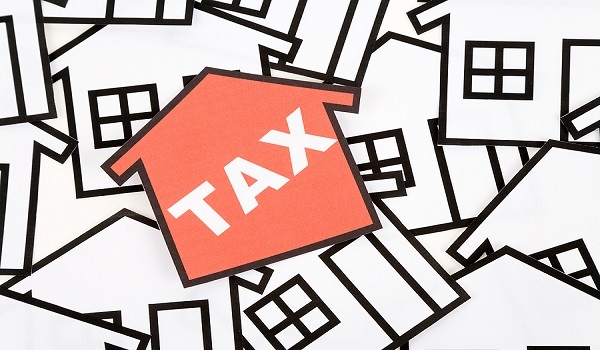 You see, the tax department has categorised properties on the basis of different parameters. The annual rental value of every property is calculated according to the categories they fall within. Hence, property tax calculation differs for each category. Right click here and select ‘Save Target As’ to download a zip file containing information about property categorisation in 32 districts of Punjab and see which category your property falls in. Farm houses are taxed differently. Please see the table below to understand tax calculation for farmhouses of different sizes. I get that property taxes are pretty difficult to understand, which is why I have tried to shed some light on various important aspects. Hope this information helped! If you still have any queries in mind, just feel free to discuss them with me in the comments section below.